A 20-minute Chair Yoga video, from the Chopra Center. 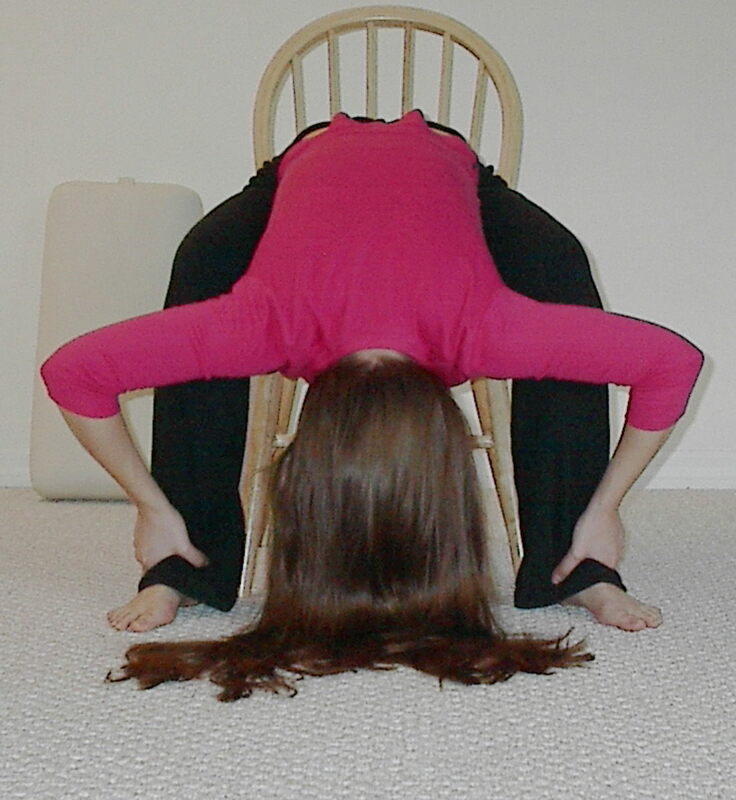 Some standing poses included (with chair for support). Offered free via YouTube. Closed Captioning available (press the CC button in the lower right corner, which will be visible after pressing play). From your seated position, gently twist at the waist toward the right, bringing your right hand back to the side of the chair and your left hand to the outside of your right leg. Keep your neck soft with a gentle stretch. Hold for 5 to 10 breaths. Repeat on the other side.